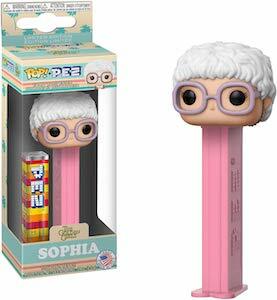 Fans of The Golden Girls will like this Thank You For Being A Friend Magnet. 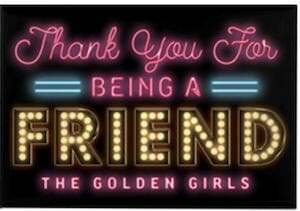 On the magnet you can see a black background and then in a neon and gold print you can see the text “Thank You For Being A Friend Magnet The Golden Girls”. A true fan will know that the text is all based on the series theme song and that means every time you see the magnet you will think back to the classic TV series. 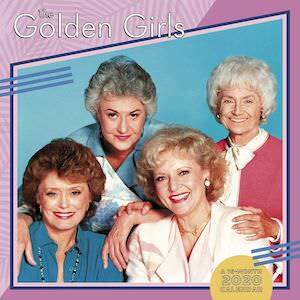 The square version of this Golden Girls magnet is 2.125 x 3.125 inch in size and there is a round version available too. Now you can get your morning coffee from this Golden Girls Mug. This yellow mug shows the faces of the Golden Girls on one side and on the back it says “Stay Golden” on it and also the names of the 4 girls. This ceramic mug is 20oz and that means it can hold a lot of coffee, tea or any other drink your prefer. 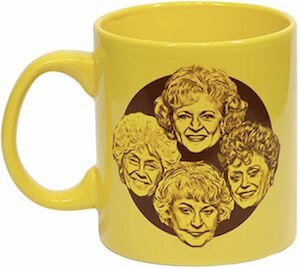 No longer do you have to drink from that boring or worse advertisement mug because the Golden Girls have your covered with this fun looking mug. And you can use this mug at home or take it to work so that everyone can see that you like classic TV series and Golden Girls to be precise. Now there is this The Golden Girls Car Sun Shade to block the sun. This is foldable can sun shape so that it can always be handy and ready to be used. The sunshade is made to block the sun and by that it will keep your car cool. 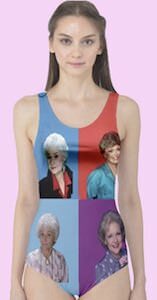 On the car sun shade you can see the golden girls if like they are driving your car and in the front you can see Dorothy driving with Sophia next to her and on the backseat Blanche and Rose. It is fun to have this on your car and make people look twice as it will look like the Golden Girls are driving you car. Time to spend some time coloring this The Golden Girls Coloring Book. This coloring book has great pictures inside it that all need to be colored and yes, Dorothy, Rose, Blanche, and Sofia are all there. The Golden Girls coloring book has 128 pages and that means lots of coloring to be done. 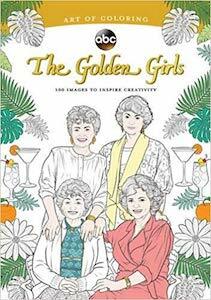 It is fun to go back in time to the days of The Golden Girls and give them the color the deserve and as there are so many pages you can try the girls in different colors and give them some fun and colorful surroundings.